Throw out those boring old pyjamas and climb into an adult onesie today. Nothing offers the same level of comfort (and, let’s face it, style) as a onesie and they are are in no way just for the kids. Whether you’re on the hunt for men’s onesies or onesies for women, searching for the ideal Christmas onesie for the holidays, or feel like some escapism in a unicorn onesie, we’ve got you covered. For adult onesies see above, for the answers to all your onesie queries, see below. Surely onesies are just for kids? Certainly not. Unless you think fun and comfort are just for kids, and in that case I recommend you pick up a onesie as soon as possible to melt your icy heart. 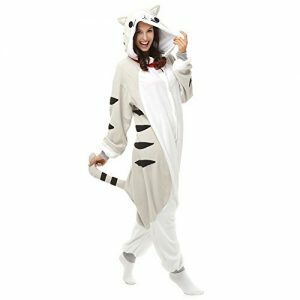 Adult onesies can be a great replacement for men’s pyjamas, and ladies onesies serve as the ideal realisation of lounge-chic. 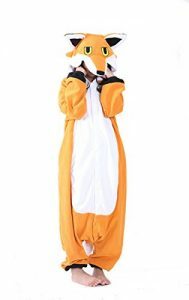 Can I get an adult animal onesie? Absolutely, and what’s more you can (and should) get more than one. 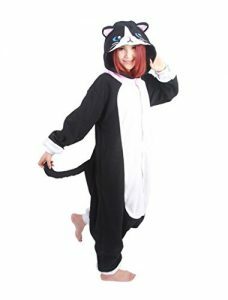 Whether you want to lounge around in a cosy panda onesie, travel back millions of years in a dinosaur onesie, or feel fabulous in a brand new unicorn onesie, you can get them all right here. Are onesies only for wearing indoors? You can wear your onesie anywhere you want to, and don’t let anyone tell you otherwise (dress code permitting I suppose, they’re not quite accepted at black tie events). An adult onesie may be perfect lounge-wear, but this does not mean that it is only lounge-wear. If you feel like shocking the town in your pikachu onesie, then go right ahead. Can my partner and I get matching onesies? Yes, and you’ll both look awesome. You could go for completely matching his & hers / his & his / hers & hers onesies, or each come as a duo of similarly themed outfits. Or you could just choose which are your individual favourites and enjoy wearing your new favourite outfits together. Adult onesies make great gifts, and it’s always good to share the love.